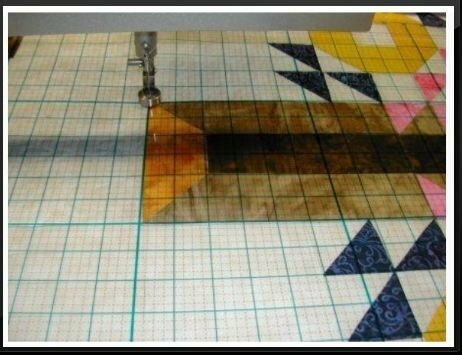 The manufacturer, Colorado Quilting Company, describes it as: "The Piece O'Grid was designed for use with a computer-guided longarm quilting system. Use it to square corners as well as lay out point-to-point designs. Additionally, it aids in design placement and is perfect for auditioning copy designs. The Piece O'Grid measures 18 inches x 36 inches with 1 inch blocks and 1/4 inch dotted lines and is made of a 10 ml. rigid plastic. Perfectly proportioned for computerized systems, this handy tool reduces the cost to those individuals who only need a small piece of grid for their design work. Hence the name Piece O'Grid "
This 18" x 36" plastic grid will become your favorite tool! This items needs to be shipped to you. Please allow 5 business day for delivery.